Continuously finding ways to improve and run a business more efficiently doesn’t apply only to those in manufacturing or logistics. Retail companies need to consistently look for more ways to innovate how they procure and work with suppliers, in addition to keeping stores full of the items customers want the most. Optimizing expenditures, both direct and indirect, can help retailers reduce costs and improve services offered by suppliers. Support company strategy – The leadership team works to create a strategy that can be followed by everyone in the company, from the CEO to the newest employee. 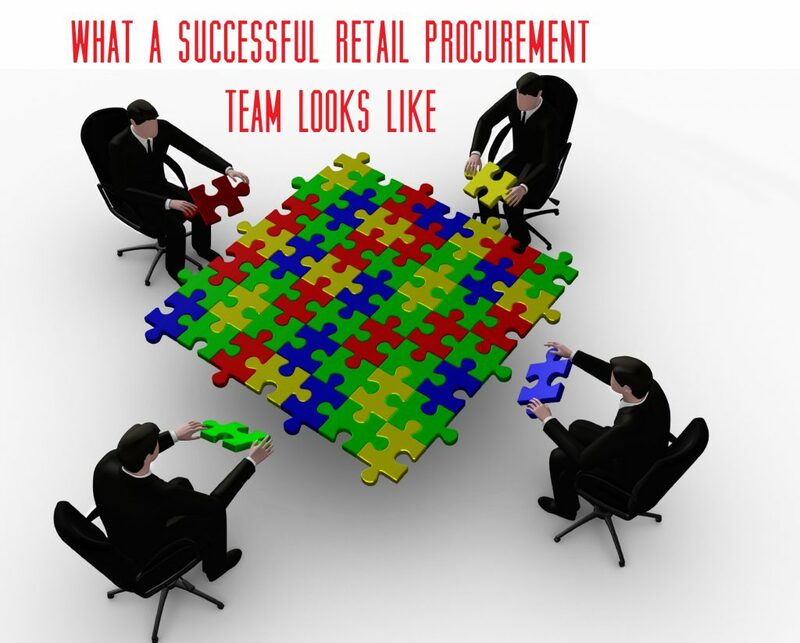 A great procurement team will use that strategy to drive decisions and support the organization. Pushing the strategy forward unifies the procurement team and the entire company. Implement continuous improvement strategies – No strategy is worth following if it doesn’t somehow emphasize continuous improvement. The procurement team should work toward improving the quality of products while reducing costs. It’s that simple. Ensure better service – Procurement teams can improve quality and cut costs, even if the products themselves continue to be more expensive, by negotiating for improvements in services offered by the supplier. As the cost of goods increases, prices for the consumer can be maintained if services such as shipment tracking work efficiently or if the goods consistently reach store shelves without damage. Often procurement teams can find room for improvement in last-mile deliveries. Suppliers help the retail company reduce costs and customers benefit from better prices. Test the market – As much as relationships matter, a great procurement won’t simply accept that their current supplier is the best for the business. Consistently researching vendors and making changes if necessary is crucial to an efficient procurement organization. A supplier that just didn’t fit a few years ago may be the best for the business today. Staying on top of development within the industry and supplier infrastructure enhancements can make a big difference. It’s up the procurement team to stay on top of changes with suppliers. We all know the business world moves fast and procurement teams need to be nimble and ready for change when an opportunity presents itself. Sitting in an office and constantly working to improve the bottom line can make it all too easy to forget what matters most to a retail business – the customer. Hopefully, the company strategy focuses everyone on the customer, but if not, it is essential for procurement teams to base decisions on how they will affect the end customer. If changing the way products are delivered to stores only helps the team working from the corporate office and not the folks working at the store, you could be damaging customer relationships or product availability. A few pennies saved from the bottom line won’t matter if the change drives customers away. Great procurement teams can see the effect of changes all the way through the supply chain and into the store. The customer is still king – that much about business hasn’t changed. Successful procurement teams work with logistics management providers who implement the latest technology and offer services that are a complete turnkey solution. The latest technology supplies your procurement department with the vital information needed when organizing build outs or remodels, whether for one store or hundreds. STC Logistics will work directly with your procurement department or with your individual vendors. As a complete turnkey solution, in addition to our direct logistic management and supply chain management services, we also provide white glove service, sort & segregate fulfillment and installation services nationwide. To learn more about our 3PL retail logistics services and expedited shipping, click below! Warehouses are commonly used by retail businesses to store items that have been shipped to them but have not yet been moved into stores. In addition to retailers, transport businesses, manufacturers, customs, importers and exporters use warehouses as well. They may be designed to house goods of a certain type; perishable goods, for instance, are stored in refrigerated warehouses. They may be used to assemble containers for export or prepare consolidated shipments for distributions. Despite the tremendous value warehouses provide for companies, some issues cannot be avoided altogether. 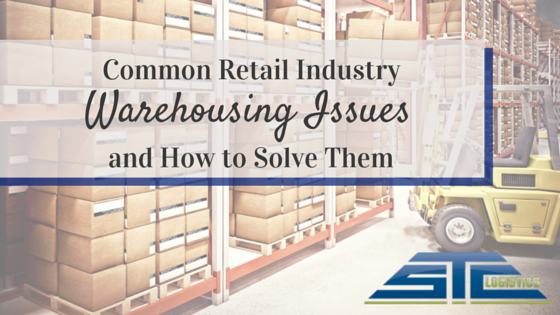 In this article, we will look at some of the most pressing retail warehousing issues and how they may be solved, avoided or minimized. The amount of storage space needed for a company depends on the size and quantity of goods to be stored and length of time which storage is required. 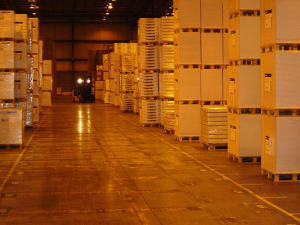 Companies aim to rent or purchase warehouses that have enough space to meet their needs, but sometimes end up ordering more merchandise than their space can accommodate or under estimating the length of time necessary. More often, the issue of space occurs as a consequence of inadequate organizational practices, such as not making efficient use of the available space or experiencing delays in implementation of goods at final destinations. Such poor organization leads to time and money being wasted on unnecessary labor and square footage. 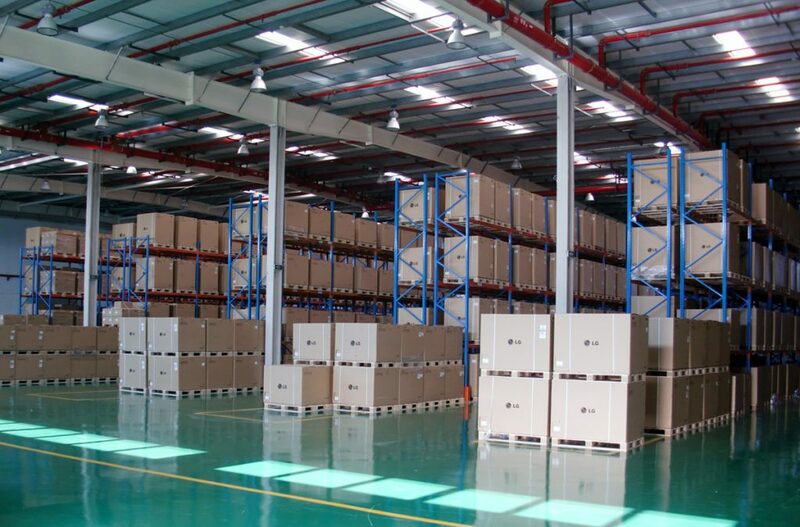 To ensure adequate warehouse organization, a company should contract with warehouses and 3pl companies that understand the parameters of retail warehousing requirements. This way, less time will be spent locating items and in turn expedite the actual shipping process, such as using expedited logistics services. The machines used in loading and unloading should also be taken into consideration since they, too, are typically stored on-site. Counter balance machines are not very good for retail warehousing and should be rejected in favor of narrow aisle reach trucks and multi-directional forklifts, which can increase storage space by thirty and forty percent respectively. Another important element of space management in retail warehousing is to have the place thoroughly evaluated by a professional forklift business. This can further maximize storage space. It is essential to have a facility that understands retail needs and can provide flexibility. When looking for slots to store items that have just arrived, forklift trucks often make one trip after another while scouring for space around the warehouse, wasting gas or electricity. As a result, they often end up putting their loads into the first empty slot across which they come, again resulting in disorganization. The last thing that any retail business needs or wants is disorder; they need to know exactly where something is so their customers will not have to wait for inventories to be replenished or for new products to launch. Companies can also plan the use of slots, taking into account special needs for certain items as well as supply needs. Another common warehousing problem occurs when too much time is spent on each item because of poor management practices. When scanned mechanically, barcodes can reduce handling time for merchandise, providing order and ease of access. For larger items and fixture or displays, pallets can be color coded in order to group together specific store configurations or marketing campaigns, thus allowing design teams to have easy access. In conclusion, retail freight logistics and retail warehousing depends, more than anything else, on organization. With everything in its proper place and employing proper accounting and moving machines, retail warehousing can be vastly simplified, to everyone’s great satisfaction. STC Logistics specializes in nationwide retail logistics solutions and warehousing services. We ensure not only that your items arrive on time and undamaged with our expedited logistics services, but are stored safely and scheduled with cost-efficiency and reliability. To learn more about our retail freight logistics solutions, click below. 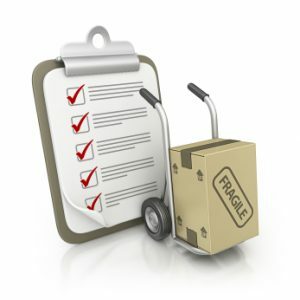 Expedited logistics are required for many reasons—especially with retail logistics and pharmaceutical logistics—primarily for ensuring that a product launch is made on time, that products are available at a manufacturing site or that a time-sensitive shipment gets to a customer quickly and undamaged. Expedited logistics have played a major role in the economy and throughout the supply chain process to meet time-sensitive deadlines while still upholding the quality that the client requires. These fast freight shipping services are typically carried out through air freight preferences – although, a savvy 3PL provider may be able to provide ground and ocean options, depending on the transit times, weather forecasts and other factors. When a business decides to work with a 3PL for expedited logistics, they’re able to attend to their own schedule without being hindered by an extremely regimented shipping routine. The 3PL can determine the most direct shipping schedule for reliable logistics, leaving the business to only worry about their customers’ needs. Additionally, customers often appreciate being given several options for freight shipping, such as same day, next day, weekend and 3-5 day services. Small businesses can gain more favor with their clients if they are able to meet last-minute deadlines which expedited logistics allow them to. One of the main reasons 3PL offersexpedited logistics is that it gives the customer a choice. If they are missing critical fixtures from a time-sensitive campaign or have received the wrong equipment, they can have peace of mind that an expedited service will help them resolve the issue. While this service is available for an increased cost, the benefits far outweigh any risks. Using a 3PL for expedited logistics gives a business the ability to make an informed choice for their most demanding needs. Another equally important reason to have expedited logistics is customer satisfaction. When a customer is in jeopardy of missing a launch or needs help, demonstrating the flexibility of providing on-time delivery allows a 3PL to prove as a dependable freightshipping source in the eyes of the client. When placing an order, part of the time spent waiting for the shipment is processing time. This is the time it takes to pick the product from the warehouse, load it onto a method of transportation and actually ship it out. Expedited logistics minimize the amount of processing time therefore decreasing delivery time to the consumer. This leads to a satisfied and potentially repeat customer. Client retention and loyal relationships is crucial to having a successful 3PL connection. By using a 3PL for expedited logistics, a business can rest easy knowing that they trust their freight with a company that providesreliablelogistics in all shapes, sizes, time zones and time frames. 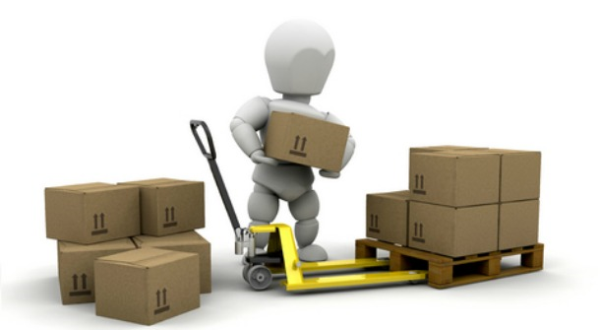 3PL are well equipped to handle any shipping issue that might arise, whereas a hiccup in a small business’ shipping plans could very well cripple sales. Expedited logistics has considerably improved with technology. From improved shipment visibility to the more accurate tracking of information, to quicker speeds, expedited shipping services are assisting the largest and smallest customers by ensuring deliveries are on-time and with the utmost standards of quality.As technology continues to improve, expedited logistics will become even more critical to the success of an organization, and utilizing a 3PL to accomplish these needs will reduce risk. STC Logistics is one of the most trusted logistics companies in NJ and offers expedited logistics that are especially important for retail and pharmaceutical industries. 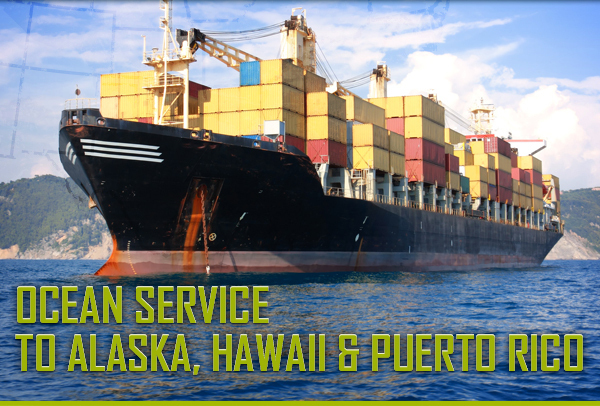 To learn more about our shipping options, click below!